It was common in the seventeenth and eighteenth century for native tribes to raid Dutch, German and English settlements in North America. Some settlers would be killed but some would be captured and taken to live with them. After a while the captives dressed and acted like natives and when found often fought to stay where they were. The modern term for what happened is the Stockholm Syndrome where the captive begins to identify with the capturer and lose touch with what happened to them. Patty Hearst is one of the primary example of this Syndrome. In Mexico this syndrome has given rise to a rather strange gang called The Too Many Gringos Gang. This is not a gang in the proper sense of the word but rather a collection of individuals who all share the same belief that they aren’t Gringos despite the evidence to the contrary. 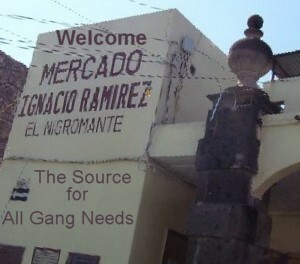 The Gang never meets nor has a club house because of their belief that two gringos is one gringo too many. Their birth certificates state they were born in Canada or the United States, but they believe that really should have been born in Mexico. No group in Mexico has yet taken responsibility for turning these once normal Americans and Canadians into the Too Many Gringos Gang. It is not sure if the change occurred in Mexico but once in Mexico they start to say “Not staying here – Too Many Gringos” So unlike other expats who believe they are moving to Mexico to retire, this gang believes they are moving back home. Once home they begin their transition to a Non Gringo by distancing themselves from those they now call Gringo. 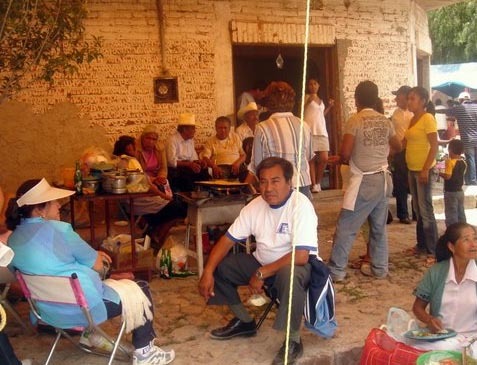 As they become more and more acculturated to Mexico they begin to identify and sympathize with the locals and identify less and less with where they were born. Little is known about their habitats and habits, because once they see a Gringo they Go. Yet the Gringo and their ways define in part who they are. If they don’t use the expression “Too Many Gringos for Me” at least once a week their very reason for existing disappears. (Not sure who they would use that expression with or perhaps they say it in Spanish). It appears that Blogs are the way for this Gang to attach Gringos without actually having to enter their Gated Communities. When a Gringo spies at a distance a member of the Too Many Gringos Gangs, all they can think of is Joseph Conrad’s novel the Heart of Darkness. One of their own is “Going Native”. When a Too Many Gringo Gang member spies a Gringo they see the embodiment of dead, white, European male culture and the shame they feel being a part of that repressive regime. There can be no meeting of the minds between these two groups because each believe the other has no mind. 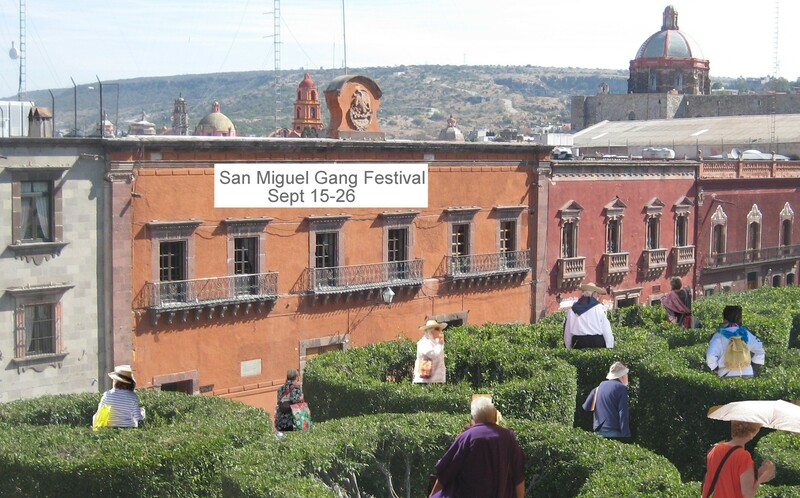 The first annual Gang Festival will be held in San Miguel September 15 to 26. Gather up your homeys and get yourself to the Jardin and about town (that is said with a Canadian accent so it sounds like ABOOT town). Get those rugs and good works out as this Blogger will in town with his camera that week to update his blog with new pictures and stories. For all those gangs that have not been identified yet make sure you are there and counted in the Gang Census. 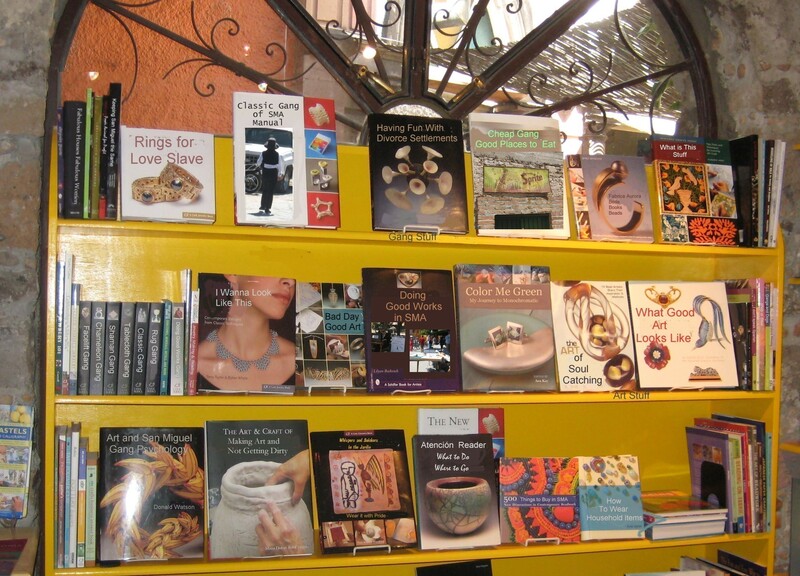 You can pick up programs at Starbucks and any other North American Chains in San Miguel. Program to be published here as soon as it ready. * A World Heritage Site division of UNESCO Co. Learn how identify people like yourself at art events. Learn a few helpful catch phrases for plays and musical evenings and what never to say. Learn how to distinguish between and artist and an unkempt person. This is your chance to be an artist for a day and experience what all those ill kempt people in town do. Remember you live in an Artist’s Colony and at some point you have to do something arty so join in these activities. They will be easy to find. Look for people crowded around something and in the middle will be an art activity. Here is a sample of what you will find on Getting Arted Day. Reinventing yourself is a long process. One slip of the tongue can undo months of careful life editing. The most dangerous area for slips of the tongue for new gang members is the World of Art. Philistines at heart, the transistion to a life of living in an Artist’s Colony can be rough. While Gang members understand the role artists play in driving up house prices they really have difficulty understanding what they do. They know they have to Fill their Walls but the old “I know what I like” approach to art won’t work in an Artist’s Colony. Many residents confuse artists with the homeless and often approach them with small donations. Some believe that the lady below has been hired by the city to create artistic feelings in the city. You start your transistion to Bohemian with clothing. You are what you wear. A rug over the shoulder says Bohemian while a backpack suggests poverty or high school. Carrying a bag with Friedo Kahlo’s picture says Bohemian while carrying a Louis Vuitton bag suggests Bourgeois. Combat Cocktail Sandals says Bohemian while wearing running shoes suggests the Wrong Side of the Tracks. Gang dress codes simplify this immensely. Every Gang in San Miguel has a focus such as wearing one color or following Betty Friedan. The Foodie Gang has a focus – food – its consumption, study, preparation, and news. But not just any food but Mexican Food. Foodie Gangs exist all over the world but to be part of San Miguel Foodie Gang you must take an intensive three day workshop on Mexican Food. The day starts with each member recanting having ever eaten at Taco Bell or Del Taco or any Mexican Chain Back Home. 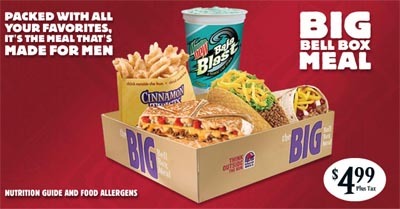 This is the beginning of the Reject American Fast Food mantra that starts a Foodie rethinking food. They look through the book and stumble on all the new words. After a good read, each new recruit is called to the front and given their own food speciality – a burrito, a tamale, epazote, pozole and a coach to learn the correct way to pronounce it. 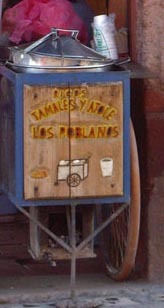 For homework they are told to go out into San Miguel and buy the item and bring it to class. With their new speciality on a plate, each recruit stands, shows their new speciality and tells where they bought it. If anyone says Mega or Gigante then the ridicule begins and the lesson on authenticity starts. There are gasps in the room. Several recruits stand and flee the room, knowing in their heart they aren’t Foodies because they thought these stands were places where you discarded tamales not bought them. Those who remain are herded into Air conditioned buses and told they will be eating their speciality at the Tuesday Market with an Imodium chaser. The Tuesday market will be unlike anything they have ever experienced in their life. They are instructed to eat with their eyes closed. They finish by remembering an episode of Fear Factor. Quickly they are herded back on the buses and taken back to the seminar center to rest, collect their thoughts and to journalize the experience. Several members of the Spiritual Gang are on hand to counsel the recruits whose world was put off balance by the experience. This day of the journey from Taco Bell to Tamale Stand is a day of journaling, cooking from the Good Book and learning what makes for an authentic restaurant and how much to pay for a meal. We were having a very hard time finding a restaurant for dinner that fit within our budget, so we were relieved when we found a young man grilling hamburgers at a stand on the main plaza. Once we bit into our hamburgers, our relief turned to amazement at how good they were. It was possibly the best burger I’ve ever eaten in my life; don’t miss it. I believe he only opens in the evenings, which is convenient because other budget eateries around town seem to close by about 6pm. Hamburger with the works. If you like bacon, make sure to add a strip or two. Word on the street: The taco is made for snackers on the move, the invention, supposedly, of itinerant Mexican cowboys who relished the convenience of an edible plate. Given its modest origins, it’s no surprise that when connoisseurs nominate their favorite taco spots, they’re more likely to name street corners than proper restaurants. This is especially true in San Miguel de Allende, an artsy colonial city about four hours north of the capital. At night, when the expats and tourists are headed home from their fancy dinners, street vendors are just warming up their griddles. The best taco peddler sets up on the corner of Calle de Mesones and Pepe Llanos, just a short walk from the main square (look for the floodlights illuminating a mass of happy people gathered around a cart). Order up a few tacos al pastor, and watch as one of the cooks carves off some hunks from a block of red-tinged pork cooking on a vertical spit, presses them into a double layer of delicate corn tortillas—each no larger than a CD—and splashes it with an exhilaratingly tart and salty pineapple salsa. Just a few bites obliterate each taco, leaving behind a slick of sauce and grease on your hands and lips. Pity the sleeping gringos. How to decode the above review. Any Foodie worth his or her weight in Tacos knows that if you can use a credit card to pay for a meal that it can’t be good value. The word VISA on a door to a Foodie is the same as Do Not Enter. The price of meal becomes a flash point to a Foodie. There is a price threshold beyond which a Foodie will not go and when that price is breached the restaurant is no longer authentic. The restaurant that breaches the price threshold will never receive a good Foodie Review and the word Fancy or too American will be use to indicate that is is now on the No Eat List. So what is the price threshold? Only a Foodie can answer that. There is something dark afoot when an adult goes to Disneyland or Disney World unaccompanied by a child. All pretense has been abandoned. Their ability to distinguish between what is real and unreal is now lost. Once someone is unable to distinguish between real and unreal they have become a Member of the Walt Disney Syndrome Gang. They believe that everything has been created to give them an experience. San Miguel is a dangerous place for anyone with that Syndrome. 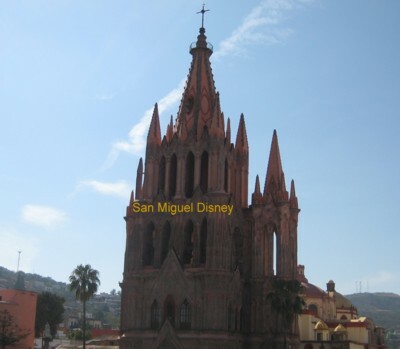 It is already unreal enough but without a Mexico Disneyland nearby to anchor them they begin to believe that San Miguel is San Miquel Disney. They begin to believe they are in an amusement park and start to look for others to share the Disney Experience. So another Gang was formed in San Miguel joined together by their belief that they are not in a real city but an amusement park. Gang members have created several experiences for all to enjoy in San Miguel Disney. The Cobblestone Streets are one of the major rides in San Miguel. Walk on them, trip on them, and drive on them and you are on Magic Mountain. The sign is deceiving but when you experience your first tope, be prepared for every part of your body to be jiggled. One of the newest attractions in San Miguel Disney is the Liverpool Store. Grab a shopping cart and wend your way through all the exhibits of materialism. Most of the guides at the exhibit can both speak english and operate a credit card machine. 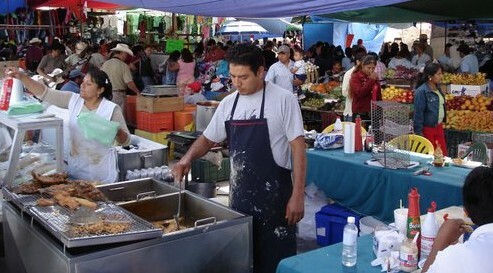 Mega and Gigante are giant food courts with parking lots. 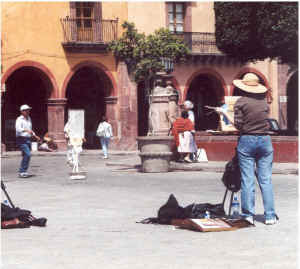 Given the artistic flair of San Miguel, one of the most popular experiences in San Miguel Disney is Finding the Artisan. Wander into the Gringo Free Zones and you will notice the word Taller and o (useful spanish vowel) the word Artesano. Often the doors to the Taller are open and since Gang members already think they are in an amusement park, when they peek in the door they see Gepetto or several of the Seven Dwarfs. The first Taller is always special and then they realize that these workshops have been set up throughout San Miguel Disney. Now they have a purpose – Finding the Artisan and enjoying the Artisan Experience. They think that Tallers are stores, that everything has been made in China but are never 100% sure because it looks to the naked eye as if the Artesano is making the product. There is so much fun to be had in the Taller. The first experience is buying. The Artisan Finder sees things in the Taller that they saw in stores in Centro but at Factory Direct Prices. Well actually there are no price tags in a Taller and that means dicker time in the Taller. The object of dicker time is to pay no more than 5 pesos for anything. The Artisan Finder doesn’t believe they are dealing with a real Artisan but a poorly paid shop person who doesn’t understand what something is really worth. Eagerly they search for the seconds table. Some Tallers have living quarters for the Artisan and it is always fun to barge into their private spaces and take pictures of wood burning stoves or unmade beds or anything ‘interesting’. These pictures are called “How They Live”. A dead chicken, with its head still on, on a counter, makes a great picture. The discovery of a new Taller requires a picture with the Artisan or a picture of you pretending to be making the speciality of the Taller. Since the Artisan Finder doesn’t believe it is a real workshop, it great fun to spend lots of time talking with the Artisan and generally living the whole Artisan Experience. It often happens when the Artisan Finder returns home with their purchase and pictures and stories, that they realize they have a new calling. 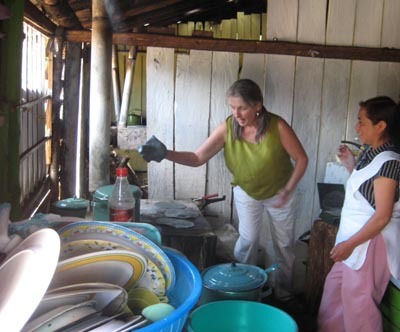 They are the Guides to Artisans in San Miguel Disney. They are the David Livingstones to the Gringo Free Zones. Everyone will offer up their car to them for the chance to experience a “real” artisan and Factory Direct Prices. To say you have driven a Guides to Artisans, to a new Taller, gives much status in San Miguel Disney. As all the Tallers of San Miguel are discovered, some of the Guides have been forced to venture outside San Miguel Disney to Non Disney Mexico where they speak Spanish and where the residents refuse to go along with they belief that they are in an amusement park. So any trip outside of San Miguel Disney can be dangerous but the hunt for a new Artisan knows no bounds.